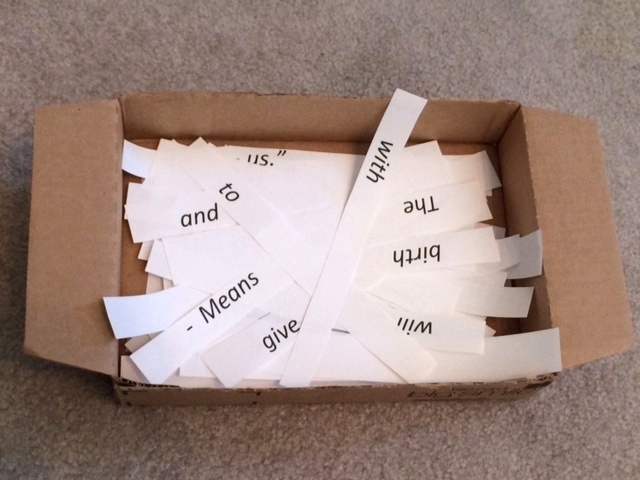 Help your kids learn a Christmas scripture with this fun activity. Go over the memory verse with the children. Have each child draw a piece of “hay” out of the “manger.” Work together to put the verse (printed on the hay) in order. Read it together out loud.